I've had the pleasure of meeting so many amazing people over the last few years that have transformed from acquaintances to friendships in such a beautiful way. 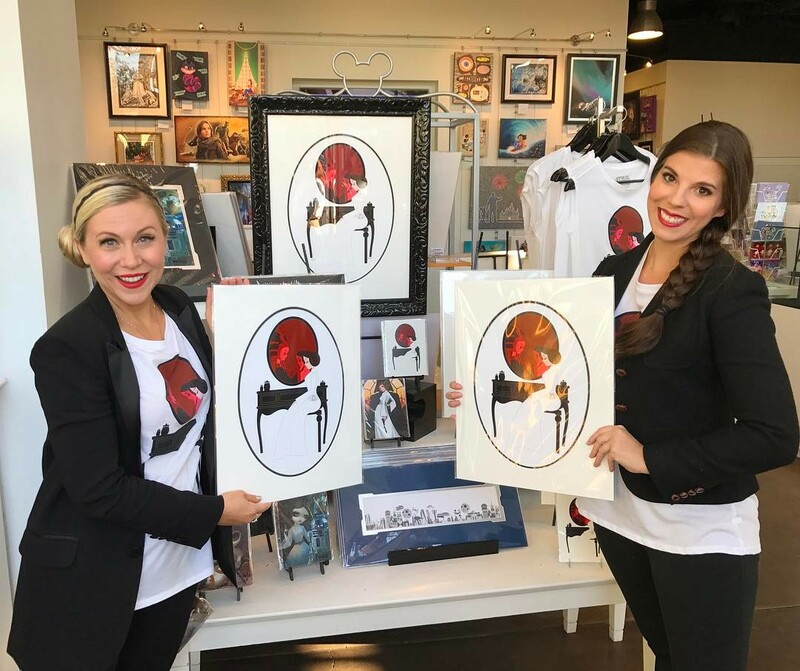 Last year I had the pleasure of meeting Ashley Taylor, an artist best known for her work with Disney's WonderGround Gallery and Her Universe. 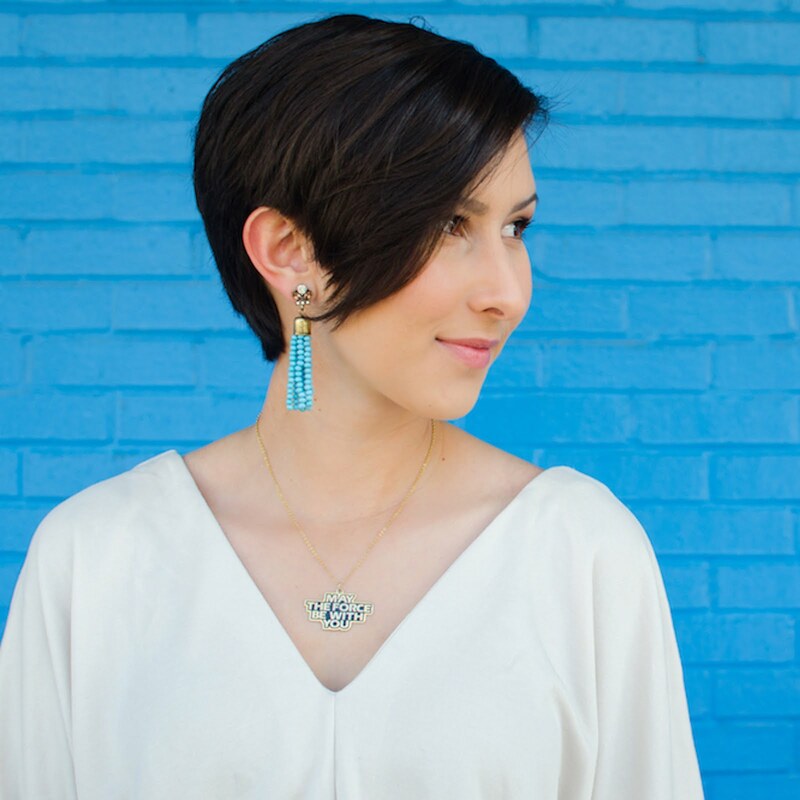 When I first heard her story of success, I was in awe of the obstacles she overcame to get where she is today. 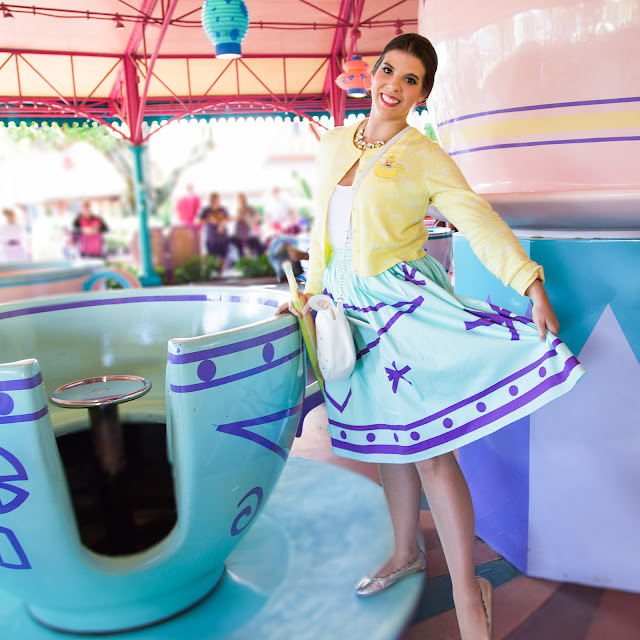 From being a Walt Disney World cast member to working as an artist for major studios, Ashley Taylor only continues to inspire dreamers young and old to work hard for what they aspire to be in life. What better way to share this inspiration than by chatting with Ashley herself? You’ve mentioned that Sleeping Beauty inspired you as a child to become an artist. What about this movie did you love? I was mesmerized by Sleeping Beauty when I was a kid! I think Sleeping Beauty is the most beautiful and artistically distinct Disney Animated Film ever created! That film was in production for over six years and it shows. Evynde Earle’s color schemes, compositions and details made every frame a masterpiece. You cause pause the movie at any moment and marvel at the strikingly beautiful scenes. Evynde Earle created a world for all of us to escape to…even if just for an hour and sixteen minutes! Everyone has a story and I believe yours is one of the most interesting to hear. Tell us about your journey as an artist and the obstacles you had to overcome in the early part of your career. My career had an unconventional start. While I was in college, I had a professor who told me I had “zero talent.” Instead of offering me a critique on my homework, he gave me $3 to get him a coffee every class. It was humiliating. For years, I felt too embarrassed to show anyone my art. I felt like I wasn’t “good” enough. It wasn’t until I saw Tangled in theaters that I rediscovered my love for art and my dream to be a Disney artist! I realized that the tower walls that surrounded Rapunzel were preventing her from becoming who she longed to be. That film really resonated with me and gave me the motivation step out of my comfort zone to pursue my dream. I spent every night watching tutorials, developing new techniques and finding my own style. I was slowly starting to feel confident in myself and my abilities. I was ready for my voice to be heard. 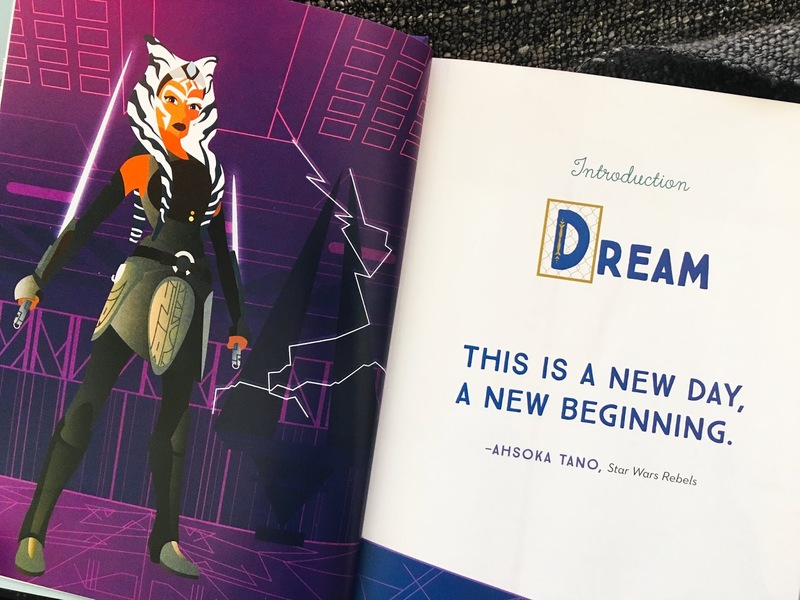 One day at work, I noticed a flyer that said, “Disney Creative Forum”. The Creative Forum allows Disney cast members to pitch their talents and ideas to a prestigious panel of Imagineers and Disney designers. My friend Bryce and I decided that we were going to pitch a design together. When the presentation day arrived, we walked into the room confident and proud of our month’s work. We received wonderful feedback and it gave us the motivation to start posting our work online for the world to see. Shortly after our presentation, Disney reached out and offered me a contract and Bryce was offered a job with Disney Imagineering! It’s amazing what can happen when you believe in yourself and take advantage of opportunities. I started my career thinking I wasn’t good enough, and now I’m working with various studios, retailers and celebrities. My story is proof that if you’re passionate about something and willing to work hard, very few things can stand in your way. When I first heard your story about becoming an artist, you shared that you stayed up late every night while working at Walt Disney World to work on your craft. How did this daily dedication impact the rest of your life? It was incredibly challenging! I found myself staying up until 3AM almost every night- even when I had to wake up at 7AM for work. I knew that I had to discipline myself as an artist if I wanted to work for Disney. Small sacrifices had to be made to make my dreams come true. I had to stop going out to dinner every night. I stopped watching hours of television. I had to decline birthday invitations. It was difficult for me because I was a social butterfly. I wanted to hang out with friends all of the time, but I knew I had to make my work a priority! I did make sure that I had one day off a week to hang out with friends and relax. I think it's so important to take a "me" day to surround yourself with people who love and encourage you! While some friends didn't understand my shift in priorities, others stood by me and encouraged me to keep going. I'm so grateful to have those friends as my support system! I first discovered your work through Her Universe because you’ve designed multiple fashion pieces for the brand. What was it like to land that first collaboration with Her Universe? Designing for Her Universe has been a dream come true! When I first got signed to freelance with them, I knew I was signing on to a very special brand. Her Universe allows fangirls from all walks of life to flaunt their world and showcase their fandoms through fashion. It gives a voice to the female fan community and allows fangirls to not only feel accepted, but to be the best versions of themselves. 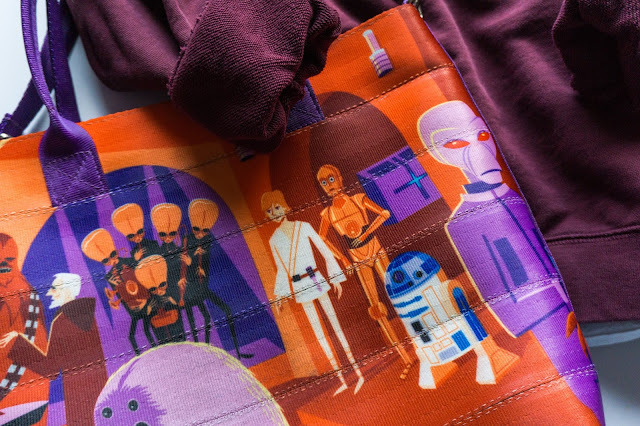 My first project with Her Universe was a Star Wars/Mary Blair inspired design for the Disney Parks! Right off the bat, this project felt like the perfect debut piece for me. 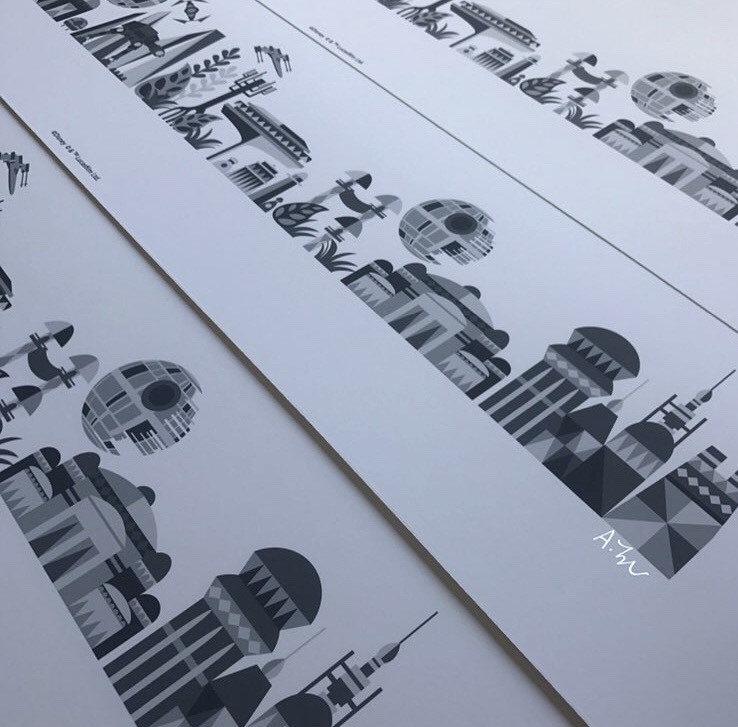 Mary Blair has always influenced my work and I love Star Wars so I instantly felt at home with Her Universe. Plus, Ashley Eckstein is just as wonderful as she appears! I’m so excited that these new generations of fangirls have such a strong, ambitious, kind-hearted, role model to look up to. Speaking of Ashley, her new book, It’s Your Universe: You Have the Power to Make It Happen, was fully illustrated by you. What was it like to go from the concept stage all the way to seeing your work in the final book? When I first read Ashley Eckstein’s manuscript, I knew this project was something I had to be a part of! I knew this book was going to change lives and help so many people visualize their dreams! The creation of the book was a labor of love for both Ashley and I! Being able to provide visuals for Ashley’s inspiring words, lessons and stories brought me so much joy! As close friends, it was easy for me to understand what her expectations were of me and my artwork! When I first saw the finished book, it was exactly what I had envisioned. I knew we had created something special. I hope everyone who reads it feels inspired and motivated to make their dreams come true! I've already received emails for people who have auditioned for plays, signed up to take their GRE exams, started art jobs with Disney and have gone back to school because of this book! I think the writing prompts allow people to visually see their goals and Ashley's business advice gives them a road map on how to get there. It was wonderful project that I couldn't be more excited to be a part of. You recently went on a book tour to promote It’s Your Universe. What was your favorite part about this tour? My favorite parts of the book tour were the little things! One night Ashley and I flew into a city late and we were so sleepy on the way to the hotel. We started singing "A Million Dreams" from The Greatest Showman! It's a perfect example of mine and Ashley's friendship. No matter what the situation, we always find a way to have fun together! I also loved sharing stories and making new friends with everyone who came out to our signings. There's nothing better than watching people's faces light up when they talked to us about their dreams. I’ll always remember those little moments! I love following you on Instagram because you share inspirational messages almost every day. It’s the perfect pick-me-up! What advice do you have not only for aspiring artists, but all the dreamers out there who need to take the first step? People go through extraordinary lengths to avoid failure in their lives. Don’t be afraid to fail. Don’t be afraid to let people down. You may think that everyone is keeping track of how many times you fail, but they’re not. Everyone is worried about their own failures, fears and shortcomings. What’s newsworthy to you is barely conversation worthy to someone else. A failure isn’t a setback, it’s part of your comeback! We fail, we learn, we grow and then we become unstoppable! Ashley Taylor's artwork can be found everywhere you look. You can see her Disney Doodles each week on the Disney Blog. 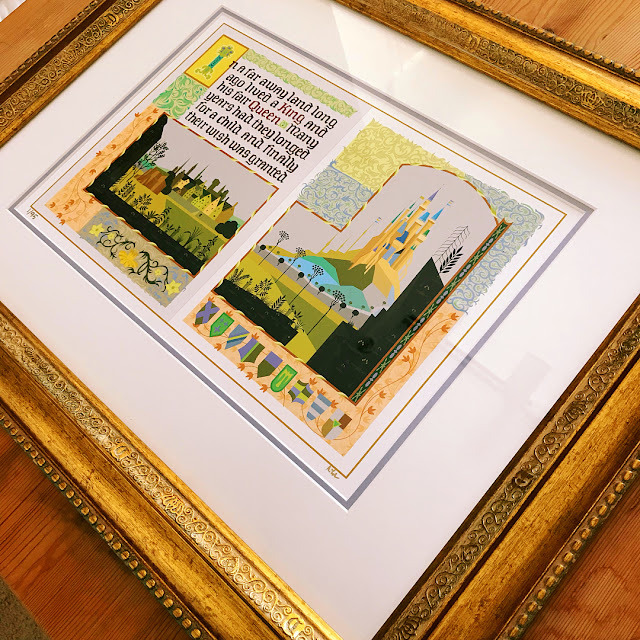 Her other Disney inspired artwork is available for purchase on the Shop Disney Parks app and in the WonderGround Gallery at Downtown Disney at Disneyland and Walt Disney World. She also does artwork for Her Universe collections at The Dress Shop as well as other retailers including BoxLunch and Hot Topic. You can follow her on Instagram at @ashley24taylor and buy It's Your Universe at Amazon or a bookstore near you!